Stage a mutant-powered battle between Wolverine and Magneto. 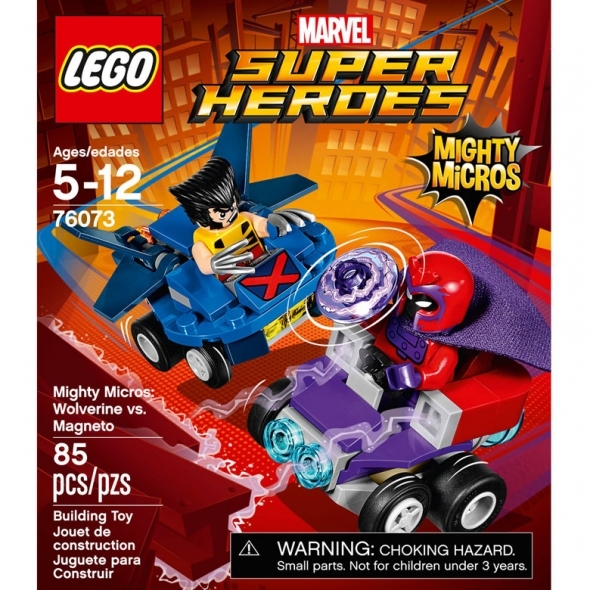 Wolverine has long claws and a Mighty Micros jet featuring extendable wings to help him escape being pulled in by Magneto's magnet-shaped car and magnetic powers. This set includes two minifigures with mini legs.